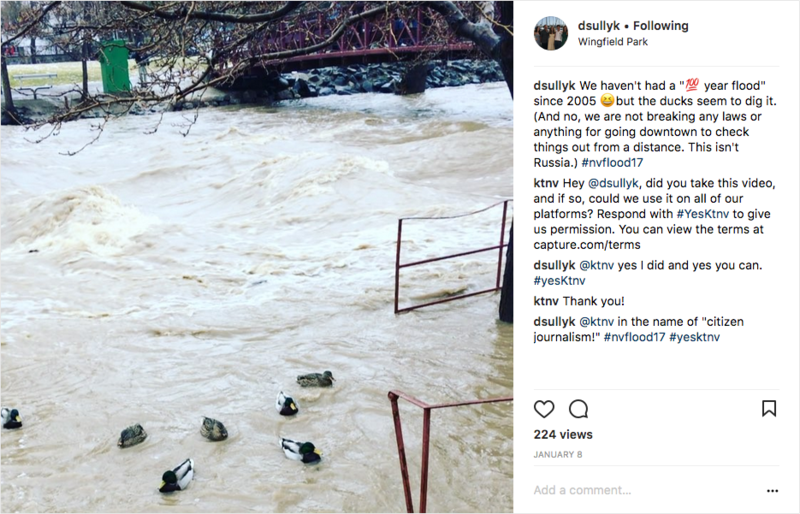 December 6, 2017 User Generated Content Marketing? Get Permission! 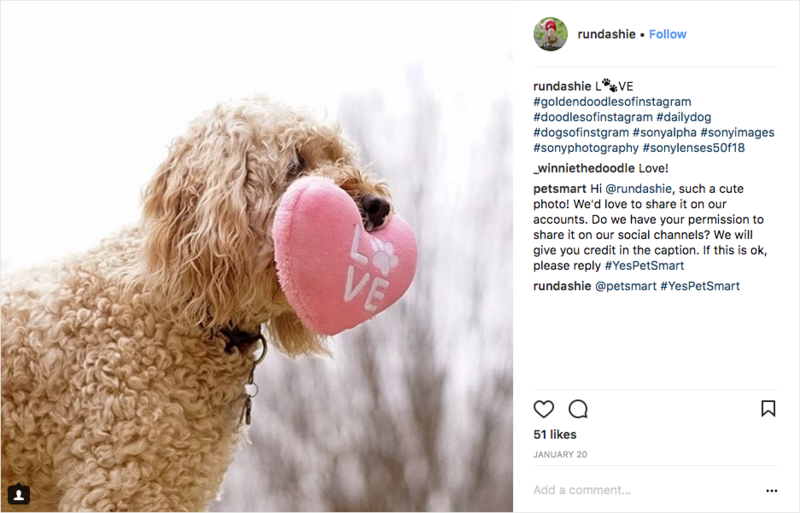 Have you experimented with user-generated content marketing campaigns, including hashtag contests, to connect with your customers? Did you know, when it comes to using the content you collect from UGC campaigns for your own marketing, it’s important to secure the rights to your customers’ content in order to avoid potential legal hassles? User-generated content contests and other campaigns, when done well, can bring brands a treasure trove of photos, video, product reviews, and other material. All that content gives brands like yours insights about their customers’ preferences and material to use for marketing. But there are caveats. In this post, I’ll explore what brands need to know about why UGC is so valuable for brands, and what brands need to know about getting permission to use the content your fans create. This permission, known as “rights management” or “content rights management” is a relatively new issue facing brands who want to use their customers’ content for marketing, but it’s something you want to know about in order both to avoid legal hassles, and to come away with killer UGC to use for marketing. User-generated content is now a part of many brand’s marketing strategies. Brands have realized when their customers tell “stories” about their experiences with the brand’s products and services, it adds a level of authenticity that benefits the brand. Bottom line: People who love your brand aren’t just customers. They’re also your best marketers, serving as ambassadors who create and share fantastic content that can influence their friends and their followers to check out and purchase your products. One easy way to motivate people to share the content they’ve created to show off your brand is with a hashtag contest. Combining user-generated content with a hashtag contest or other giveaway is a win-win for brands. Contests are a proven way to get people engaged with a brand, and UGC has been shown to help people make purchasing decisions. What’s more, featuring UGC at the point of purchase can change customer behavior in a way that increases sales. In fact, one study found that “user engagement” — the personal connection that consumers share with a product or brand when they create content to connect with the brand — is much more valuable than a “like” or a tweet. Since 70 percent of consumers say their peers’ opinions influence their purchasing decisions more than brand efforts do, brands should always be looking for ways to get their customers to do the talking for them. Brands I’ve seen using UGC well lately include Dwayne Johnson (whom you might also know as “The Rock”), Starbucks, Target, PetSmart and Stitch Fix. You don’t have to be a mega brand to collect and use UGC but you still want to make sure you’re obtaining permission to use it. What is Rights Management and When Do You Need to Obtain Rights? If rights management sounds like a term that only lawyers need to worry about, that’s because until fairly recently, it was. At its essence, rights management is copyright protection for digital media — including music, video, photos and printed material. And a few years ago rights management existed to protect brands — in part, it was a response to the the copying of commercially created material which spread through peer-to-peer sharing. Remember Napster? 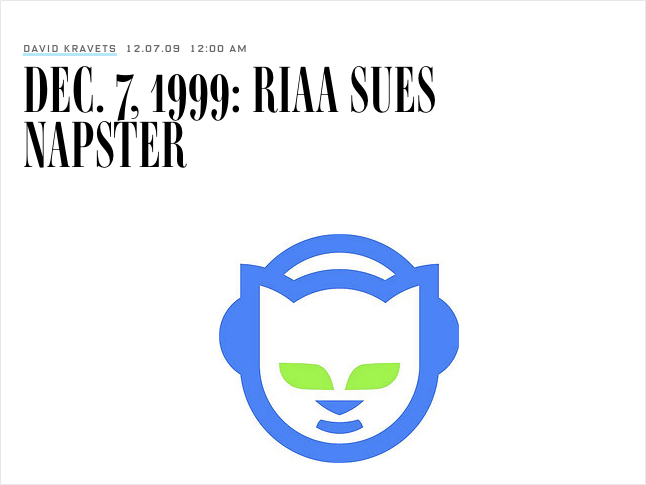 Napster was a music file-sharing service that got sued by the Recording Industry Association of America for copyright infringement. But now that brands want to use material consumers have created and posted on platforms like Instagram, Twitter and YouTube, it’s the brands who need permission to share. This is where things can get confusing. Social networks have terms of service that we all agree to (but probably don’t actually read!) when we set up an account. Most network agreements include verbiage that gives them permission to share and display content that’s posted on their network. For example, Instagram has permission to use photos its users post on its blog. But that doesn’t mean that say, Starbucks, can use photos it finds on Instagram for the purpose of advertising its new drink. Starbucks has to ask for the photographer’s permission. In other words: Just because the content is posted in public does not mean it is free for anyone to use. The good news for brands that want to secure the rights to users’ content is that it’s not too complicated. You can simply request permission by asking them via a comment. Take a company like PetSmart. 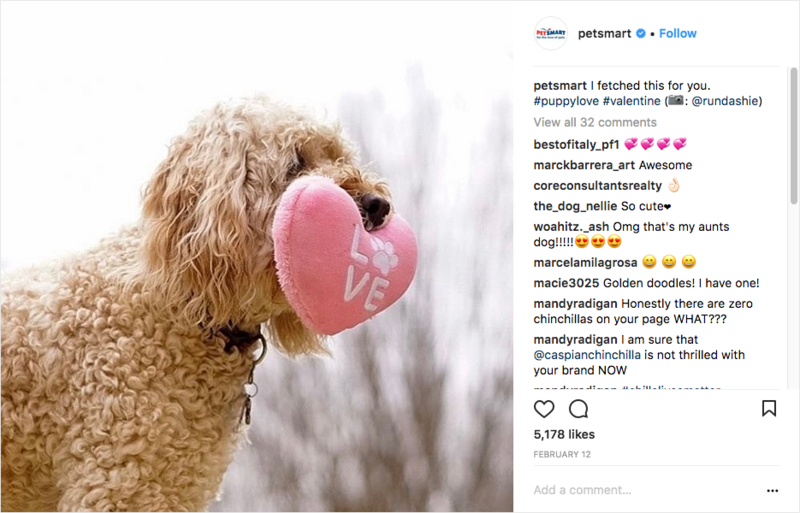 PetSmart monitors dozens of hashtags related to pets, and when they see an image they’d like to use on their social channels, or for other marketing, they leave a comment asking the poster to reply with #yespetsmart. PetSmart is then notified that they have permission to use the content. PetSmart peruses a variety of pet-related hashtags in search of images and asks for permission to use the images on their social channels. Once PetSmart has gotten permission from the user, they repost the photo with a new caption and give photo credit to the original poster. Media organizations also use this “reply with yes” technique to get permission to use people’s newsworthy tweets, photos or videos. If you’re hosting a hashtag contest, one in which people enter by using your designated branded hashtag, you have the users’ implied permission to use what they post but it’s still a best practice to ask for their explicit permission. Here’s an example of a recent contest that was hosted by Dwayne “The Rock” Johnson’s film production company. To enter, people had to film a short video that included their best slow-motion Baywatch impersonation, and include the hashtag “#slowmochallenge” in the caption. The winner was chosen by brand representatives rather than by voting, and the prize was a trip to the movie’s premiere in Miami. Baywatch fans responded by posting all sorts of silly slow-mo videos. Thousands of people entered The Rocks’ #slowmochallenge contest by posting their own take on Baywatch’s iconic slow motion shots. But what happens if someone sees your branded hashtag shared on social media and posts a photo or video and thereby unknowingly enters your contest using your special hashtag? This person hasn’t visited your social pages, or your website, and has no idea you have published terms and conditions outlining how you’ll eventually use their content. The solution? Before you use anyone’s content on your social platforms, or in any marketing materials, always ask for permission! When someone whom you’ve asked permission from reply “#yes” (or with whatever hashtag you specify) keep a record that the user has granted you permission. 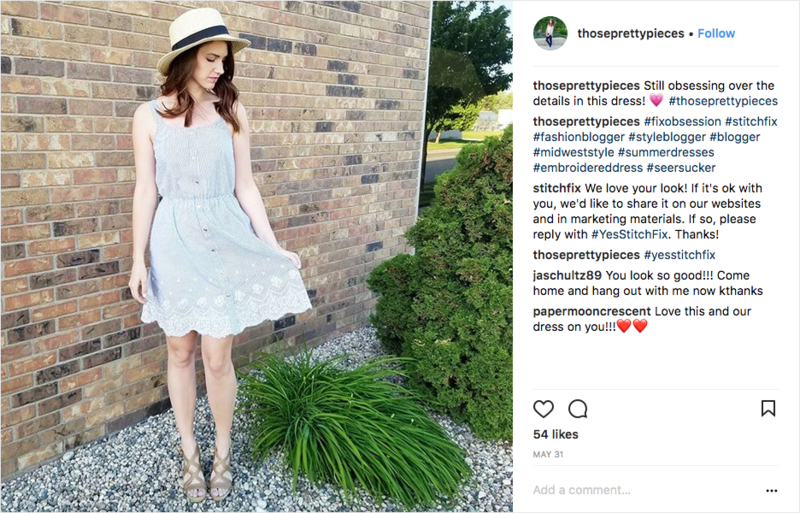 Retailers, especially, are incorporating more and more UGC into their ecommerce marketing efforts because they’ve found that two of UGC’s hallmarks — authenticity and inspiration — pay huge dividends. And even though it might be tempting for a brand to “use” content its fans have posted publicly on social media platforms, it’s wise to get consumers’ permission first, or risk a lawsuit. While legal action may be relatively rare, it does happen. A few years ago, the drug store chain Duane Reade posted a photo on its Facebook page of actress Katherine Heigl carrying two of the store’s shopping bags. It was one of those “stars are just like us” stories, but Heigl turned around and sued the company for $6 million because Duane Reade hadn’t asked for permission to use her likeness to promote their business. The lesson? Before you use your customers’ UGC for marketing — whether they’re celebrities or not — get their permission. The last thing you want is to have one of your customers come after you for showcasing their content. *A version of this post originally appeared on Social Media Examiner.